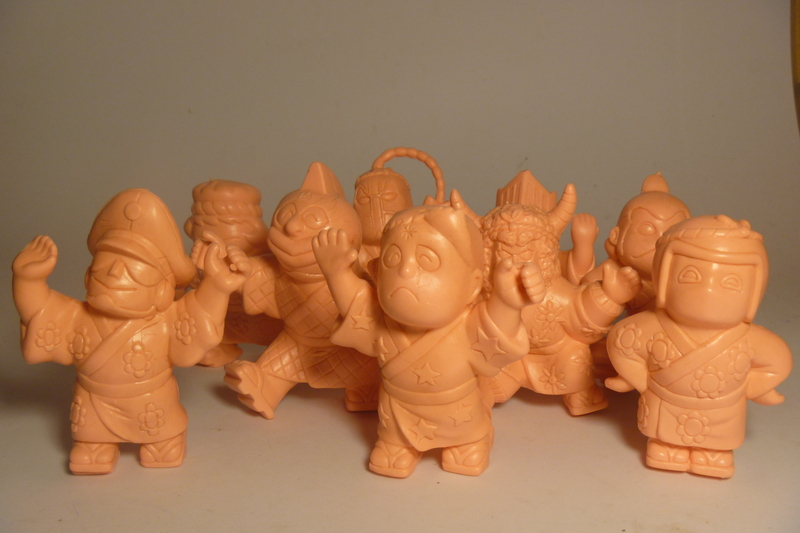 This week focuses on an unusual line in the Kinnikuman series – the Super Deformed Chibi Deka Kinkeshi figures. These figures are a small set of only 10 (of which I have 9). 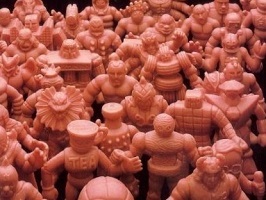 All the popular favorites are there: two versions of Kinnikuman, Robin Mask, Geronimo, Terryman, Brockenman, Buffaloman, Rikishiman, Mongolman, and Uoozuman. They are based on the Kinkeshi Part 24 and 25 SD figures. The figures are a little over three inches tall, but they are very chunky, solid figures. I purchase my nine figures for about $25. Most of the time they will likely set you back about double that price. They do not appear all that often. In my endless search for M.U.S.C.L.E. related items, I have also been able to come across a colored painted set which features five of the 10 figures in the collection. I’m not sure if the other five figures are in another box set like this one. But that is part of the reasons that this toy line is so fun to collect. You never know what you might find! This entry was posted on Monday, February 3rd, 2014 and is filed under UofM News. You can follow any responses to this entry through RSS 2.0. You can skip to the end and leave a response. Pinging is currently not allowed. I have the colored painted set in fair condition that is looking for a good home. Hit me up if you are interested.